How do I disable or delete a user account? Only a Main account holder can disable a user account. Step 2. Navigate to School Settings > Sports Users in the main menu. Step 3. Find the user account to be deleted and click the Edit button. Step 4. 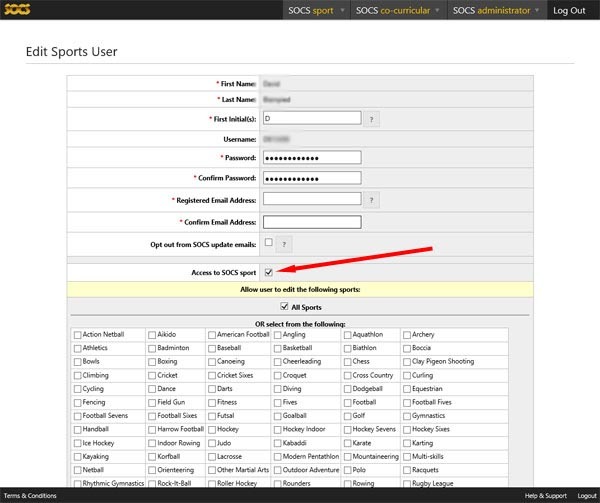 Un-tick the Access to SOCS sport check box (indicated by the red arrow in the illustration below) and then save. Disabled user accounts remain visible in your Sports User accounts listing.